The growl of the grinder, the clack of the doser, the rush of the shot and the slam of the knock box – we’re all used to fast-paced coffee shop culture, especially when dashing for our morning caffeine fix. But there’s a slower paced café percolating through Europe, where coffee is slowly savoured, cosily, with friends. In Denmark they call it hygge, to Norwegians it’s koselig, and when the Finnish drink in their underwear, they call it kalsarikannit. But you won’t get very far in Sweden without stumbling across fika. Though a direct translation is somewhat enigmatic, the Nordic concept of cosy, relaxing togetherness – with a hint of indulgence – is central in the region’s coffee shop culture. In fact, Nordic countries comprise five of the top ten coffee consuming countries per capita in the world. Coffee forms an essential social function in these northern-climbs, where dark winter days bring people together to enjoy hot beverages and food in warm, relaxing environments. 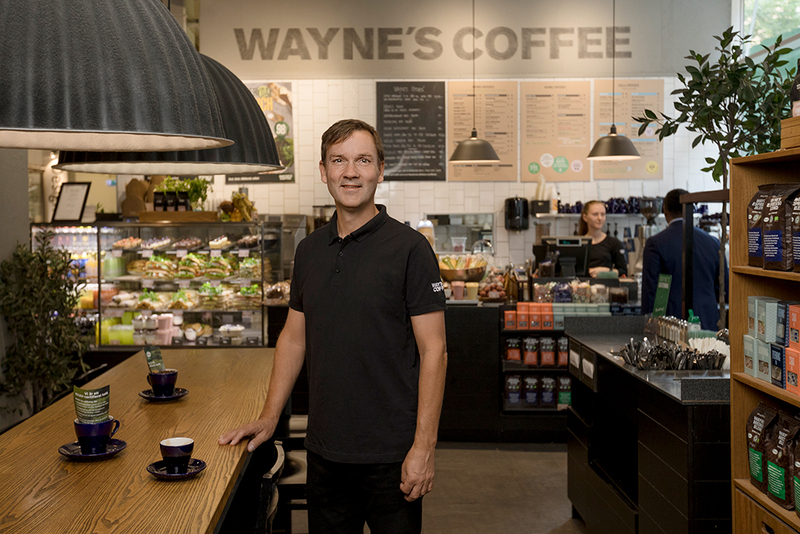 Founded in Stockholm in 1994, Wayne’s Coffee was an early adopter of organic, ethically sourced coffee. Today it’s one of the world’s few large coffee chains to promote an entirely organic coffee range that is also Rainforest Alliance and KRAV certified. It’s been a big year for the Swedish chain, which in February 2018 was acquired by German food and beverage firm, Tank & Rast Group. Together, they’ve been embarking on an aggressive international expansion for Wayne’s Coffee, opening in new markets outside Europe, including Jordan and Vietnam. Today they operate more than 130 stores globally and recently expanded to the UK with two London stores. In Germany, a market Hörnell says is brimming with opportunities for coffee chains, Wayne’s Coffee now operates three stores. The culture of casual, cosy coffee shops is nothing new in Sweden and the Nordic nation is renowned for its adoption of sustainable and ethical principles. From its switch to district heating in the 1990s, which now accounts for more than 80% of apartment block heating, to early renewable energy adoption, and widespread focus on locally sourced produce, Sweden is often touted as one of the world’s most sustainable countries. So, whether it’s 100% Robusta coffee for the Vietnamese market, or cheese-topped waffles in Norway, Wayne’s Coffee is making the global case for fika and putting cosy, relaxing coffee shop experiences firmly on the map. 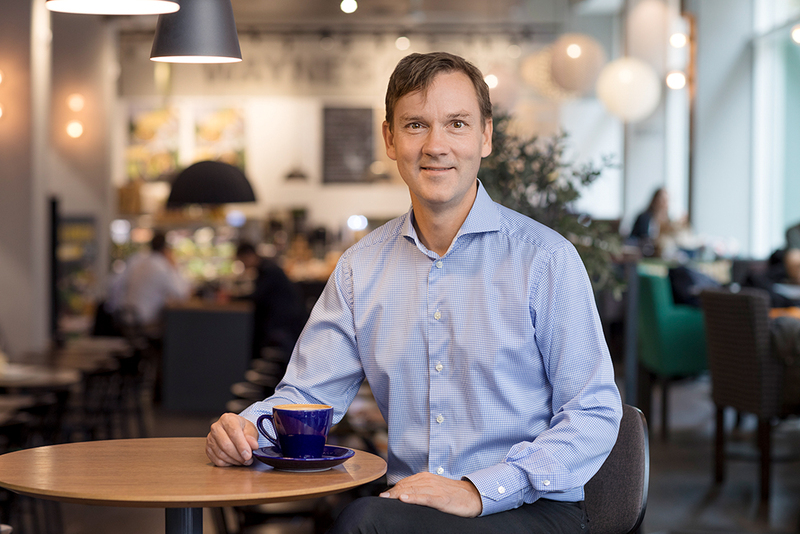 As for 2019, Hörnell says there are “tremendous opportunities” in the European coffee shop market as his firm aims for significant expansion – and perhaps we could all do with a dose of Swedish coffee culture to cure those mid-winter blues.